- The vampires are alive - Vlad In Tears was founded in 2005 in Cassino (Lazio) (Italy) by brothers Kris, Dario, Lex and their friend Alex. 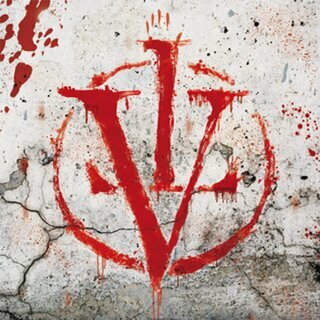 On 22/08/2014 Vlad In Tears released their self-titled fourth studio album, with 13 brand new tracks. Originally Kris Vlad (vocals), D. Vlad (bass), Gregory Friday (guitar) and Cosmo Cadar (drums) come from Italy, Australia and Romania and together they finally have found in the German capital. In the last year they toured with bands such as Unzucht, Hämatom and Stahlmann through all German cities and enjoyed great popularity and a growing fan base. With the upcoming release Vlad In Tears propose a direction that creates the perfect balance between dark rock and metal elements and thus create (despite the non-audible influences from Korn and Marilyn Manson) something new. Songs like Feed On Me and Burning Bright, go with their fast-paced riffs straight forward and provide with Kris Vlad's rough but incredibly catchy melodic vocals for genuine quality. With ballad-like songs like Bleed Out and the beautiful Vlad In Tears but quieter sounds are again struck. The entire track list is very diverse and yet the band has every single piece of their stamp sets. Vlad In Tears have a recognition factor and a potential which is yet bring them very far.